In a perfect balance of brightness and subtlety, these Light Pink Fraileras, are a fun and feminine pastel ready for warm spring and summer days. 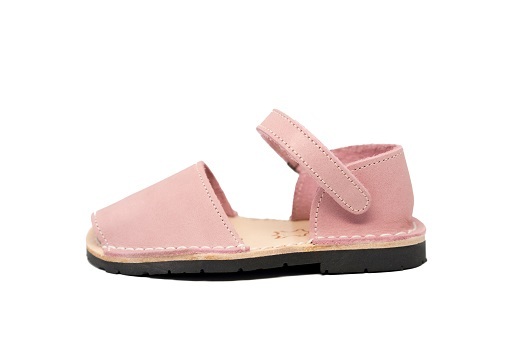 Let these pretty pink sandals speak for themselves by pairing them with neutrals, pastels, or patterns. 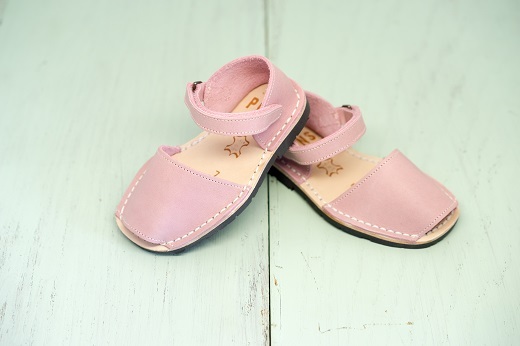 Pons Avarcas are handmade in Menorca with the finest all-natural leather. With an adjustable velcro ankle strap and lightweight rubber sole, these kids Avarcas will provide stability and durability for all of your child's adventures.